Taking a portraiture of man's best friend was a first for me; let alone taking photos for two of them. Don't be fooled by their petite sizes and adorable faces. These two are very playful and hyperactive. 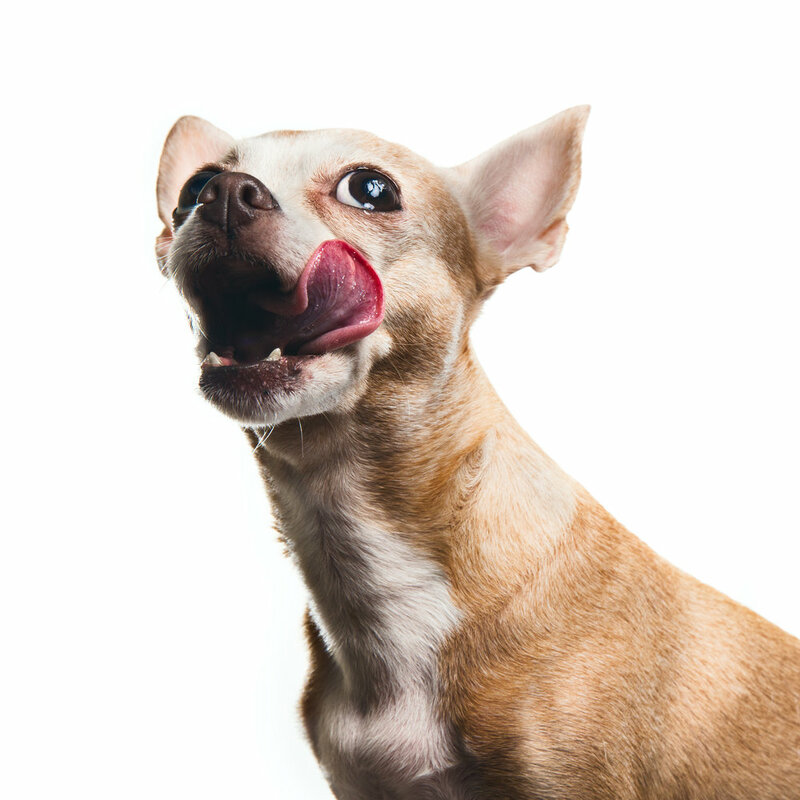 Phoebe the chihuahua was tougher to shoot as she wouldn't sit still. Bailey the poodle, on the other hand, was more interested in the food offered by her owner than the whole set-up of the lighting and camera. Initially, I was afraid that the flash might cause irritation to their eyes or scare them. Thankfully, they did not react to the flash at all as their eyes were focused on the treats instead. The concept and style for this shoot was inspired by Andrew Zuckerman, a well-known photographer specialising in animal portraitures with a clean white background. I was intrigued by how his style was simple yet effective in showing the expressions and emotions of animals. Hence, I decided to give it a shot. Hope the series of photos below will bring smiles to many of your faces, just as it has done to mine!